BSc in Biology, Department of Biology , University of Athens. 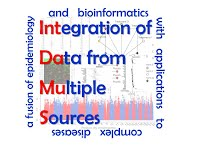 MSc in Bioinformatics, University of Athens. Machine learning approaches to model protein sequences (design and implementation). Knowledge discovery and information extraction from large biological datasets.